I want to connect 3 MPU9250 sensors, but since there is just one I2C bus, so there are another 2 sensors I want to connect through SPI. There is an SPI example code written, but I don't know about the connections. There are no MISO and other pins on the sensor which i use but its SPI compatible. How do I connect 2 MPU9250 to NodeMCU with SPI? If SPI connection is not possible then please post about I2C slave connection. 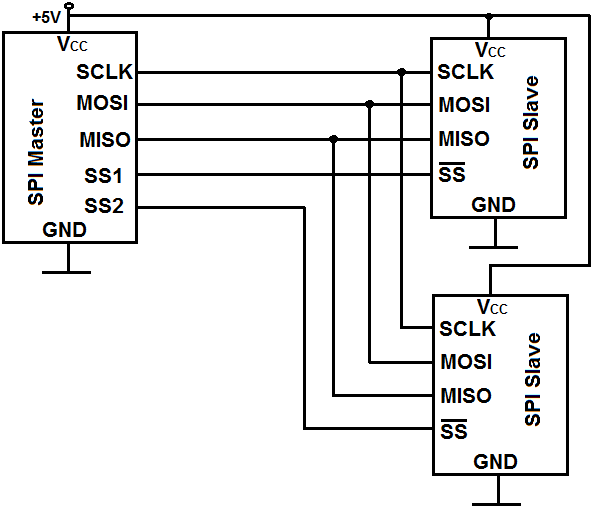 To connect multiple SPI components, you only need 4 pins on each 'slave' (thus sensors): SLCK, MOSI, MISO and SS (Slave Select). The Slave select pin depends to which the master (NodeMCU in your case) is 'talking too'. So on your NodeMCU you will have 3 SS pins (one for each slave sensor). The NodeMCU should talk exactly to one slave device at the same time by setting that SS pin LOW (while the other SS pins are high). See for the full article: Multiple-SPI-devices-to-an-arduino-microcontroller. Not the answer you're looking for? 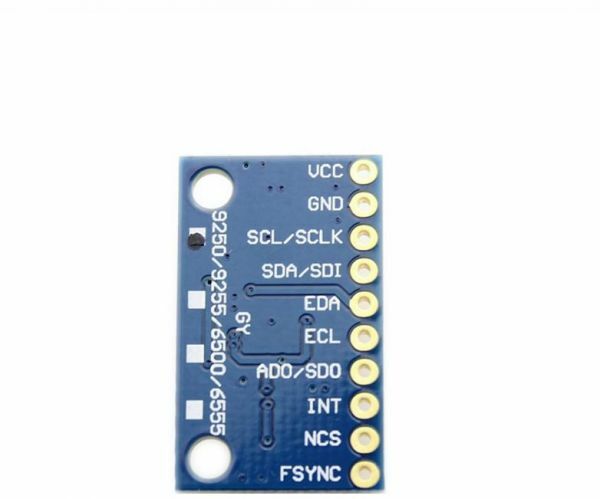 Browse other questions tagged i2c spi nodemcu mpu6050 imu or ask your own question. Is Arduino uno SPI comunication can be also master and slave in the same time? Can I use the TLC5940 LED Driver if I'm already using other SPI devices on my Arduino mega?